Using a starter is, perhaps, the oldest method for preparing leavened breads. Many basic bread varieties use a starter as the leavening agent. 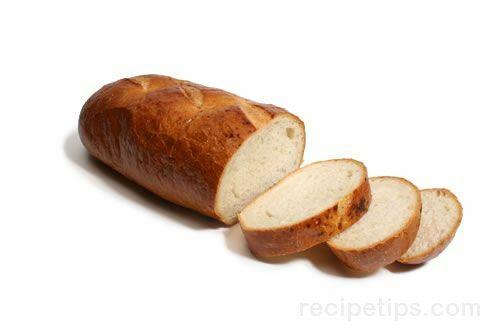 Although it can be a lengthy process, using a starter greatly contributes to the flavor and texture of the bread. The use of a starter is a traditional leavening method requiring only a mixture of flour, water, and yeast, which are allowed to ferment for varying periods of time depending on the types of bread being prepared. Some starters don't contain commercial yeast. These types of starters, which contain only flour and water, rely on airborne yeast for fermentation; therefore, the process can be quite slow, much slower than a starter using commercial yeast, but neither type of starter can produce bread as quickly as direct leavening methods. The initial fermentation of the starter and the subsequent rising time of the dough contribute to the lengthier process. Some starters may be ready in a few hours, while sourdough starters may require several days of initial fermentation before the bread can actually be prepared. 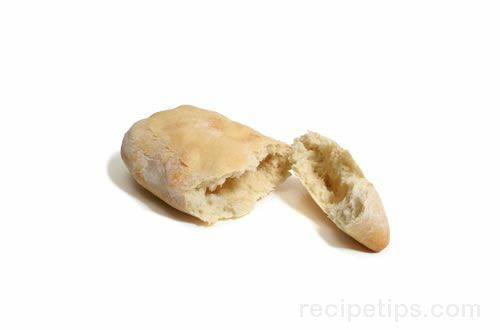 Description: Ciabatta is typically identified by its shape, which is that of a worn or flattened slipper, and thus the meaning of the word ciabatta in Italian. 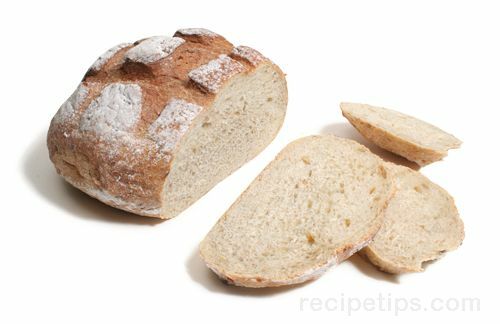 The bread features a crisp crust surrounding an interior that has a soft texture and an open crumb with a flavor that is slightly sweet/sour. The bread requires the preparation of a starter, which must be allowed to rise overnight. The remaining ingredients are then mixed with the starter and allowed to rise for several more hours. The bread has a high liquid content that makes the dough difficult to manage, but is necessary to achieve the correct results. 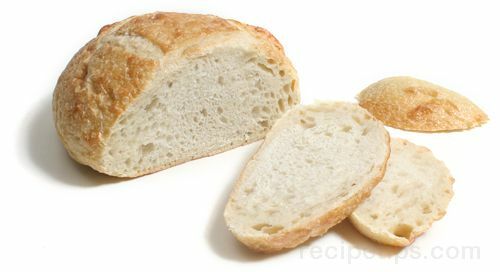 Plain ciabatta is as common in Italian supermarkets as white sandwich bread is in the United States. Other ingredients are often baked into ciabatta such as chopped olives or sun-dried tomatoes. 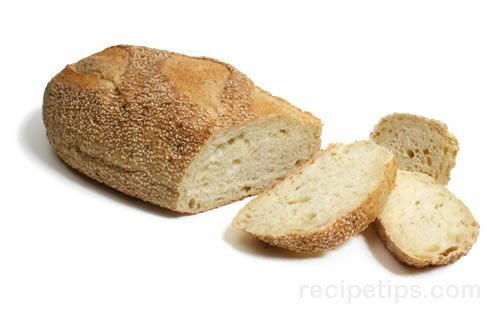 Ciabatta is often served with soups and salads and is excellent for sandwiches, grilling, or for dipping into olive oil. 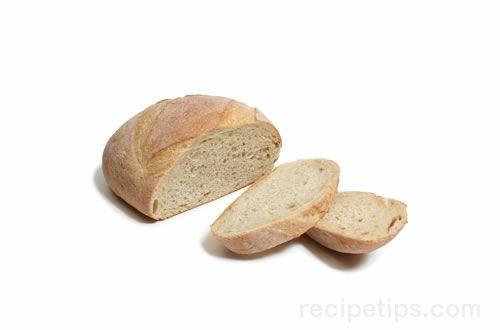 Description: A German country bread that uses a starter as a leaven. The bread has a chewy, open crumb, and a delicious sourdough flavor. 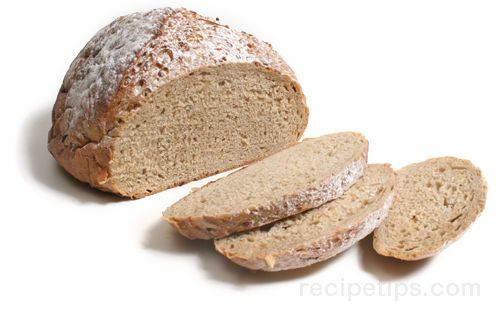 Landbrot is usually shaped into a round loaf and the crust is dusted with a generous portion of flour. The name landbrot means land bread or bread of the land and it is very popular throughout Germany although recipes may differ between various regions of the country. Landbrot is similar to the French country bread, Pain de Campagne. 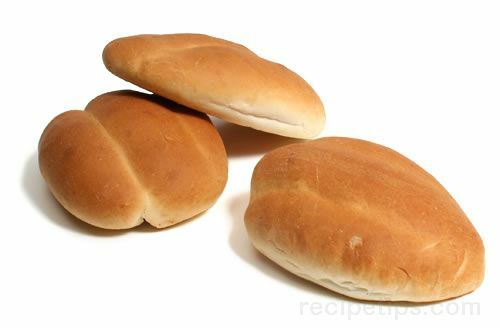 Description: A type of bread using a starter dough that has been a Latin American staple for centuries. 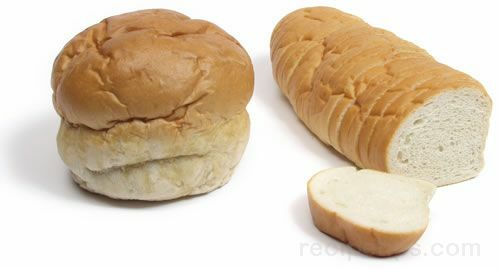 It is similar to French bread except that it contains lard and a bit of sugar. The lard creates a rich flavor, but also hastens the drying of the crumb, making Cuban bread more enjoyable the day it is baked. Cuban bread is used as a base for the Cuban sandwich, which usually contains roast pork and ham, cheese, mustard, and pickles. Description: A type of artisan country bread made by Italian bread makers that is a popular all-purpose bread in Italy. Made with whole wheat flour or a combination wheat flour and whole wheat flour, the dough (prepared from a starter) is rather sticky and can be difficult to work with. Sometimes a small amount of cornmeal is added to the dough. The resulting bread is often quite coarse and chewy making it an excellent bread for dipping into olive oil. It holds up well when housing sandwich ingredients that may be a bit juicy; the bread will not become soggy as quickly as similar types of bread. The flavor of Pane Bigio is excellent: a taste that is earthy and savory. Description: Pane Casalingua is an everyday Italian household bread that is typically made with a starter dough, which is often prepared with milk and malt extract. The bread is formed into various shapes depending on preference and some of the ingredients may vary depending on the region of Italy in which the bread is baked. The bread typically has a crispy, chewy crust and an open crumb. Pane Casalingua means home-baked bread and is also known as Italian village bread. Description: A type of Italian bread with delicious crispy crust and soft, open-textured, flavorful crumb. It is prepared with a starter dough that is allowed to ferment overnight. When the starter dough is ready, it is mixed with a combination of bread flour or all purpose flour and semolina. The semolina gives the bread a slightly golden color. The surface is often dusted with additional semolina, which gives the crust an added grainy texture. Pane Di Semola is also known as semolina bread. Description: A type of bread that originated in the Tuscany region of Italy. The bread is made with a flour and water starter that is added to a simple dough recipe containing only flour, water, and fresh yeast. The bread is unusual in that it contains no salt, which is said to have come about from earlier times when salt was highly prized and heavily taxed. The bread is rather bland when eaten plain, but is excellent when served with salty foods. Pane Toscano is known in English as Tuscan bread. 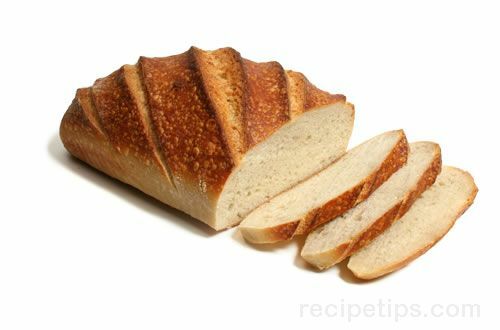 Description: Sourdough describes a group of breads having a flavor that is a tangy and sour due to the preparation methods used. The bread actually originated in France and became popular in many parts of Europe. It also became very popular with the pioneers during the 1849 Gold Rush in California. The distinctive flavor is created with the use of a starter of flour and water that is allowed to ferment and is used as the leavening agent for the bread. Some sourdough recipes call for yeast to be used in the starter as well, but the traditional starter for many varieties of sourdough bread (such as San Francisco sourdough) does not contain commercial yeast. The longer the starter ferments, the more flavorful the bread becomes. Many sourdough starters require at least two days for fermentation. There many varieties of sourdough bread, such as Pain de Campagne from France, San Francisco sourdough from the United States, Polish sourdough, German sourdough, Australian sourdough, and many others that contain different ingredients or use different techniques to create a loaf with a distinctive sourdough flavor. Most sourdough breads have an open crumb containing many varying sized air pockets within the interior of the bread. 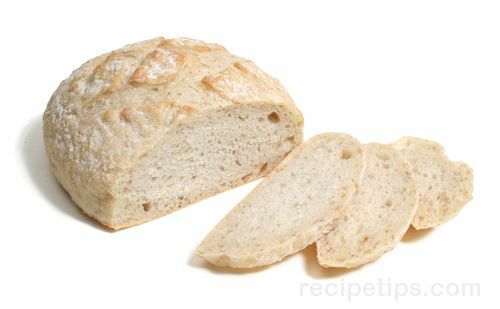 Description: Sourdough bread actually originated in France and became popular in many parts of Europe. It also became very popular with the pioneers during the 1849 Gold Rush in California. French sourdough comes in many shapes and sizes. The baton shaped loaf and the large country loaf (miche) pictured here both feature a very chewy crust, open crumb, and a moderately dense texture. Type of flour used: rye flour and wheat flour. The wheat flour is usually either white bread flour or whole-wheat flour or sometimes a combination of both. Description: A type of sourdough bread popular in Germany, made with the addition of rye, which is one of the most widely cultivated and used grains in the country. The starter is made without yeast, using only rye flour and warm water, and is allowed to sit for 30 hours or longer before it is incorporated with the ingredients for the dough. After the dough is kneaded, it is often allowed to rest for several hours in a heavily floured basket. The dough is then transferred to a baking sheet before being placed into the oven and the resulting bread maintains the distinctive pattern and shape formed by the basket. Description: The sourdough bread made famous in San Francisco is one of the most well known varieties of American bread outside of the United States. Sourdough was a popular variety with the pioneers during the 1849 Gold Rush in California. San Francisco sourdough is made with a combination of white and whole-wheat flour and it is usually baked into a round loaf with a crosshatched pattern (similar to tic-tac-toe) slashed across the top. The special tangy flavor of sourdough is due to the preparation of the bread using a starter dough as the leavening agent rather than with the use of commercial yeast.